To feed our cloning obsession and our love for home style we thought we would create a Elle inspired stylish living space, using her current bright yellow jumpsuit look. 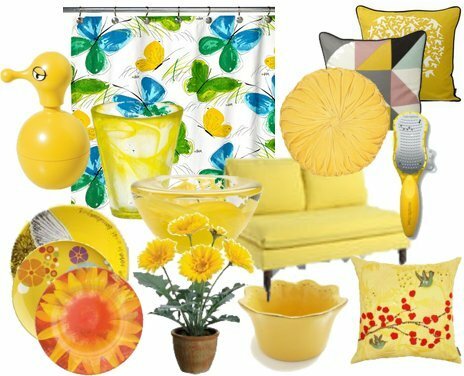 Yellow is a great colour for Spring/Summer and bright and bold colours are all the rage on the catwalks and in home dÃ©cor. Forget the boring pastels as yellow is definitely a hot colour for Spring/Summer 2011. You can either paint your walls in a dramatic yellow and keep everything else simple or accessories with bright colours. I often opt for add accessories as these can always be replaced once you change the look.